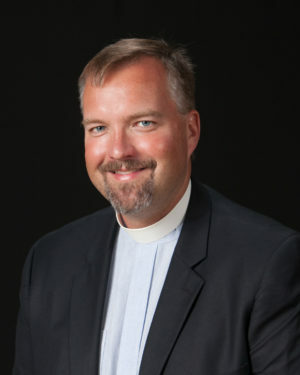 Bishop Gronberg graduated from Luther Seminary in St. Paul, Minnesota, in 2005 with a Master of Divinity and was ordained in the Evangelical Lutheran Church in America (ELCA). He earned a PhD in Leadership Studies at Dallas Baptist University in 2017. His area of academic interest is adaptive leadership in crisis. He currently lives in Fort Worth with his wife, the Rev. Kendra Mohn (Lead Pastor, Trinity, Fort Worth), whom he met at Luther Seminary. They have three children: Annika, Greta, and Axel.